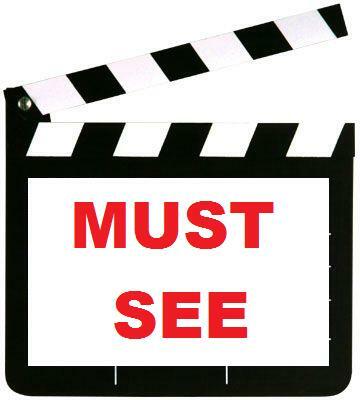 Idiom: must-see; used as an adjective. Samantha: I'm trying to decide what movie to watch tonight. Can you suggest any old movies? I want something romantic. Rebecca: Have you seen Casablanca? Samantha: Yeah, I cried at the end. Rebecca: What about Gone With the Wind? Samantha: Yep - but that's old. Maybe something a little newer. Rebecca: I assume you've already seen Titanic? Rebecca: Really? You have to watch Titanic! It's one of the must-see movies of the 90s! I thought everyone had already seen it. How could you have missed it? Samantha: Uh, I was born in the 90s. Meaning: "Must-see" is an adjective that means something should be seen by everyone. This idiom is usually used for movies and plays. In the example, Rebecca says that Titanic is a must-see movie, which means she thinks everyone should see Titanic. Stephanie: I saw the musical The Book of Mormon last night on Broadway. Stephanie: It was just OK. I had heard so many good things, I thought I was going to love it, but I wouldn't say it's a must-see. Harry: That's too bad. I was excited to see it. Meaning: In this case, Stephanie said that The Book of Mormon wasn't a must-see, so she doesn't think everyone should see it. notice that even when used as a noun, there is a hyphen between the two words.